[Not So Traditioanl] Hash Browns – Olive For Greens. Whenever I go to a diner, I HAVE to have breakfast. No matter what time of day it is, if I am at a diner, I am having breakfast. I don’t go much now-a-days because I do not indulge in foods that were once bad habits. Let’s just say when it is cheat meal day, you may find me cozy at a diner! One afternoon, I’m sitting home with a hankering for hash browns. Well, it wasn’t cheat meal day and I don’t buy white potatoes at home so didn’t know what to do. Until I opened the refrigerator and saw that I had potatoes- sweet potatoes! I created Sweet Potato Hash Browns keeping in mind what flavors I enjoy in traditional hash browns. These can be eaten at brunch or at dinner as, perhaps, a side enjoyed completely guilt-free! They can easily replace tradition hash browns made with white potatoes. 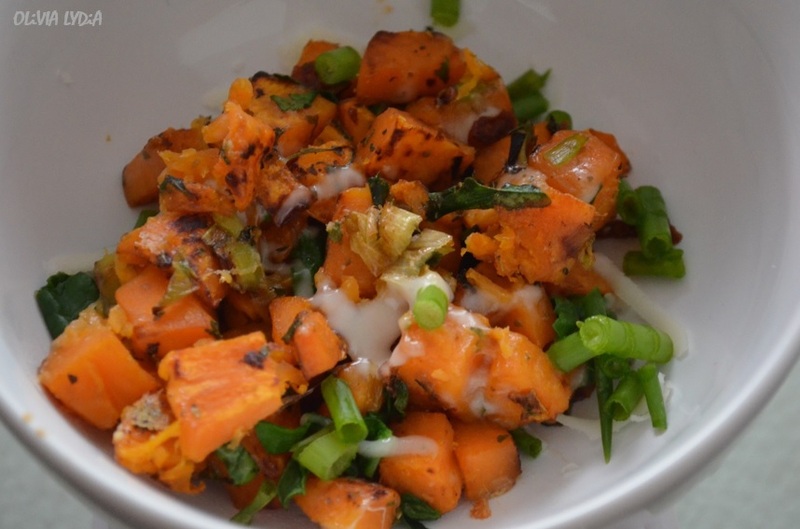 Plus, sweet potatoes have more fiber, vitamins A & C. They also have fewer carbs and calories! Makes about 2 servings so double the ingredients for more people. In a small pan add the oil, garlic and whites (only) of the scallion. Sauté over medium until the garlic and onion are golden. Next, add the potatoes and water. Lower the heat and cover for about 15 minutes-until fork tender. Uncover, then add marjoram, parsley, spinach, salt, pepper and half of the green part of the scallion. Now sauté for about 2 minutes, until the water is gone. If the potatoes are not soften enough, cover for 5 more minutes. Once soften, lightly mash (not like mash potatoes) and let it set for about 2 minutes, until browned then flip for another 2 minutes. Serve with cheese on top, if desired. Next Post 3 Green [Not SO Green] Smoothie Recipes! 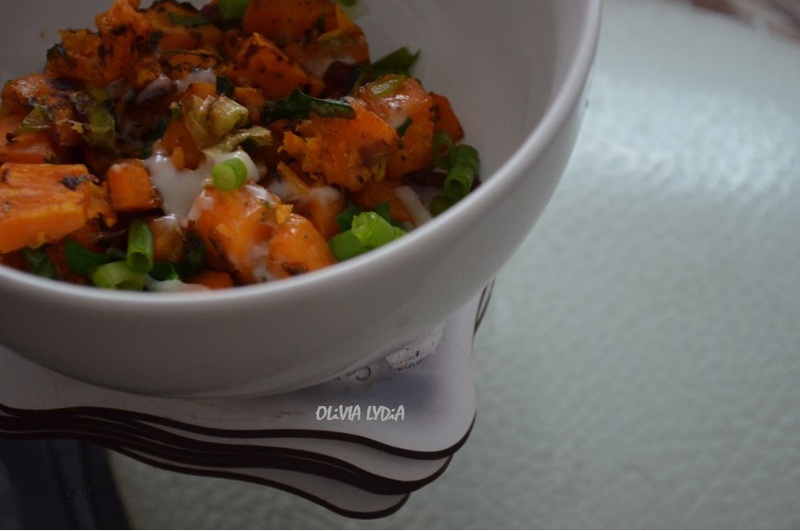 Anything sweet potato is good in my book!